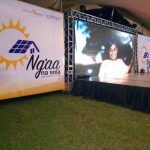 Launched in 2016, the overall goal of Lighting Africa/Tanzania is to contribute to the development of a commercial market for quality-verified solar lanterns and solar home systems (SHS). The target is to enable access to cleaner and safer off-grid lighting and energy for 6.5 million people in Tanzania by end 2019 – focusing predominantly on low income households and micro businesses among the Bottom of the Pyramid (BOP) population. The report shows key findings from the market research study commissioned by IFC’s Lighting Africa/Tanzania program in 2017. The survey targeted approximately 10,000 retail outlets and more than 1,000 households across numerous regions in the country. The report demonstrates that solar products have more than 70% penetration in Tanzania, but quality verified products commands only 17% of the entire market share, indicating that the market in Tanzania suffers from a very high incidence of counterfeit and substandard solar products. It was also noted that solar lanterns uptake is driven by affordability and availability, whereas solar home kits uptake is driven by the functional usage – multiple uses for the product, such as charging phone, small radio and provision of light.